Another research group is predicting a slow start for Microsoft’s Zune portable media player. 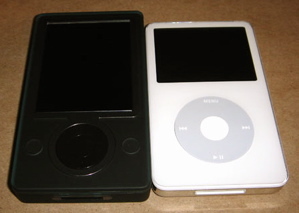 According to Gartner, the Zune is unlikely to find much success during the 2006 holiday season. Gartner notes that Microsoft has failed to put a dent in Apple’s content lead. Gartner goes on to note that Microsoft’s scorched-earth approach to compatibility means that Zune’s won’t be able to play tracks that users have previously purchased. Because of these issues, Gartner is pessimistic about the near-term prospecs for the Zune.